I found this on the wall in my bedroom late at night. It was just crawling up the wall. I caught it to take a picture. It didn’t seem aggressive, I thought it was a black widow at first glance. 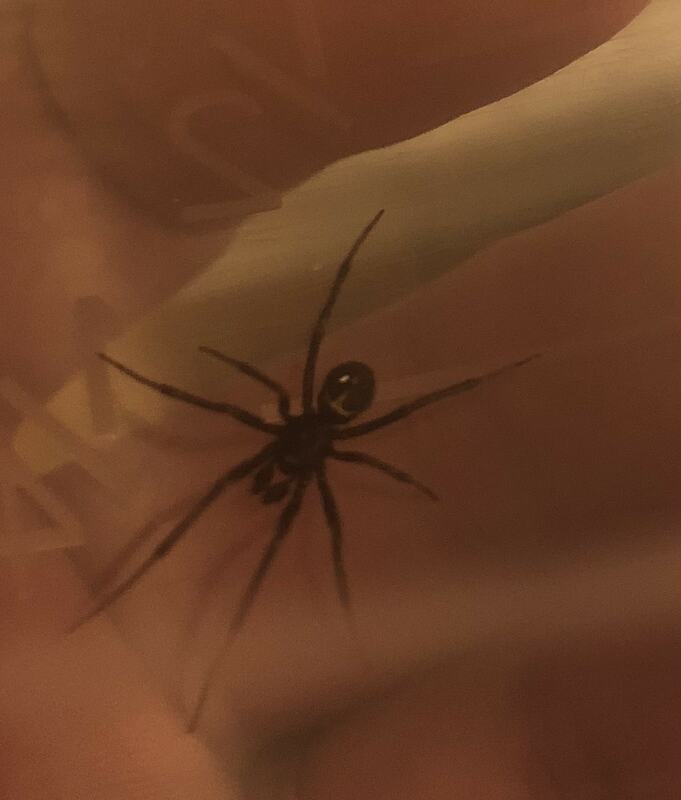 Is this a Steatoda Borealis or a black widow? Should I be concerned with children in the home? Poisonous? Also spider had what appeared to be a dot on the abdomen but it was super hard to distinguish. But the marking on the top was like a line/triangle this was whitish-yellow in color. Off white… I’m terrified of spiders so i need to be reassured it’s not dangerous. It is a male of one of the Steatoda species, often called False Widow Spiders. It is not a Black Widow.